This article was published by ComputorEdge , issue #2749, 2009-12-04 , as a feature article, in both their PDF edition (on pages 10-19) and their website. There are many different file formats that can be used for storing music and other audio electronically in a computer file. Some of them are compressed, while others are not. Some of the compressed formats are lossy (which means that some of the audio quality is intentionally discarded in order to further reduce the file size), while others are not. That last category naturally became the favorite among people sharing music files over the Internet — using peer-to-peer networks, such as Napster — to speed file transfer over slow connections (modems, for many suffering Internet fans). 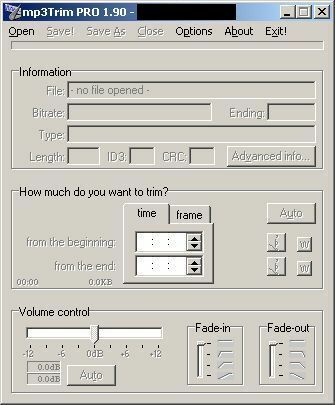 Among the lossy compressed audio formats, there were initially some strong contenders for the throne, including WMA (Windows Media Audio). But it took little time for the winner to emerge — MP3. It is both the common name and the file extension, and is short for "MPEG-1 Audio Layer 3". It was designed by the Moving Picture Experts Group as part of its MPEG-1 standard. MP3 quickly became the de facto standard used by audio playback and recording ("ripping") software, as people throughout the developed world began to enjoy iPods and other portable music players, as well as the convenience of playing music from their computers, and no longer having to locate and load compact discs, or worry about those CDs getting scratched, broken, or warped. As a consequence of countless music aficionados sharing music files over the Internet, these people ended up with sometimes enormous collections of files, many of which are poorly ripped from CDs. Specifically, the MP3 files can have all sorts of problems. Some of them are not easily fixable by the recipient of any given file. 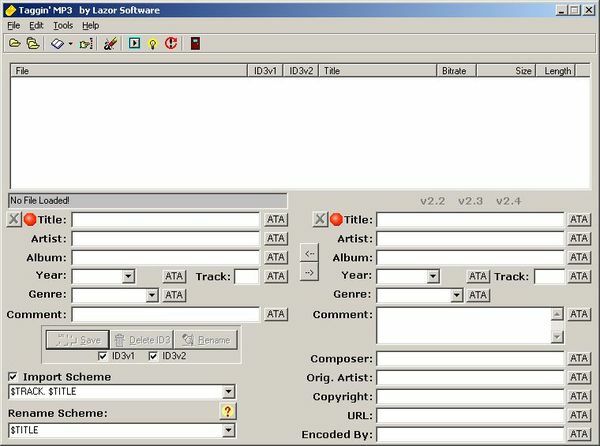 For instance, skips and pops in the music resulting from scratches on the source CD, are practically impossible for the typical computer user, who does not have the technology or know-how to fix such glitches. On the other hand, there are problems that just about anyone can resolve: a single composition split into multiple tracks; missing ID3 tags (more on that in a moment); and music that was recorded at a suboptimal volume or has unwanted material at the beginning or end. In this article, I will show how to fix all three of those types of problems with some Windows programs, so you can get your MP3 collection ship shape. By the way, adding to the alphabet soup of acronyms, ID3 is a standard tagging format for audio files, and allows you to embed information about a song right into the file itself. That information can later be used by audio players and music organizer applications. 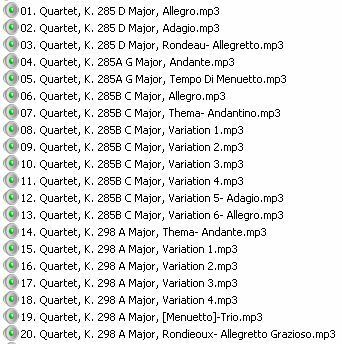 For illustrative purposes, I will use 20 tracks of some classical music (Mozart quartets). In the figure above, you see that the first three tracks comprise a single composition. They are stored in three separate MP3 files, only because that's how they were engineered and released on the CD. But you would not listen to that composition by starting at the second or third movement; rather, you would always start at the beginning, with the first movement. So it makes no sense in keeping the three movements in separate files. This becomes especially problematic if you have your music player set to "random shuffle", because then it is highly unlikely that the three movements would be played continuously, in the correct order. 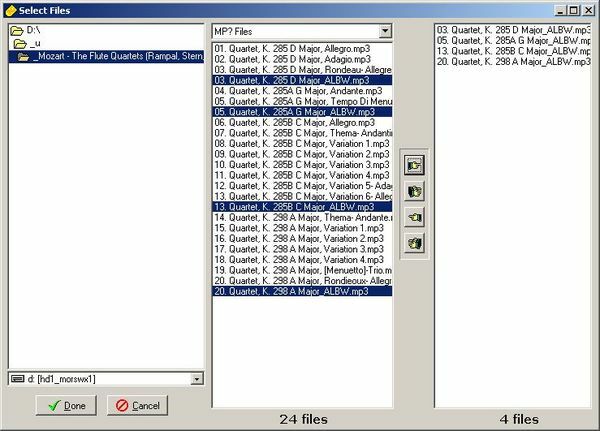 What I want to do is somehow combine those three MP3 files into a single one. 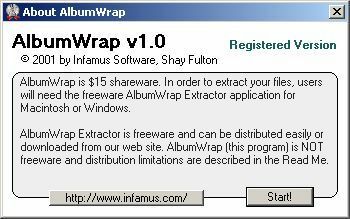 Fortunately, there is an application that makes it possible — AlbumWrap, developed by Infamus Software. Even though the company's website appears to be having technical difficulties, as of this writing, the software can be downloaded from a number of different sources, including Softpedia. 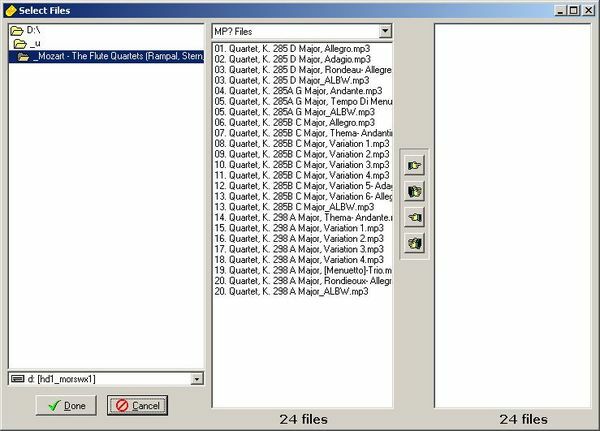 AlbumWrap is a utility for wrapping multiple MP3 files into a single one, and was originally developed for creating entire albums from individual tracks. (Note that this program is not the same as AlbumWrap Extractor.) It is shareware, and the cost is only $15. 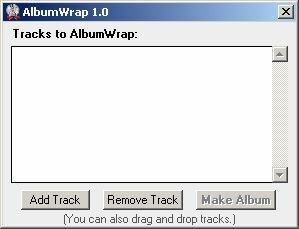 To install AlbumWrap, you do not have to run any installation program. Simply place the executable file into its own directory, such as C:\Program Files\AlbumWrap. If you find yourself using it frequently, you can right-click on the file within Windows Explorer, create a shortcut to it, and drag that shortcut onto your Start menu. When you first fire up the program, you will see a welcome screen. After you click the "Start!" button, you will be presented with a screen containing no tracks. Then click on the "Add Track" button, and choose the first track that you wish to wrap into a combined one. In our example, that would be the file "01. Quartet, K. 285 D Major, Allegro.mp3". Continue that process for the remaining tracks. When you have finished adding all of the tracks that you want, click the "Make Album" button, and the program will prompt you for some basic tag labeling information. Click the "Wrap Album" button, and save it to the desired location on your hard drive. 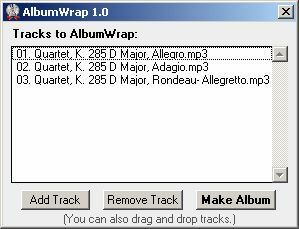 AlbumWrap creates a combined MP3 file, consisting of all of the individual tracks, without affecting any of those tracks on disk. So now you have a single MP3 file that contains all of the individual tracks of the composition. But when you play that file in your favorite audio player, it will only display the basic information that you set using AlbumWrap. You probably will want to add values for all of the other ID3 tags. There are innumerable tagging programs available, with varying capabilities and prices. But for basic tagging purposes, just about any one of them will do. 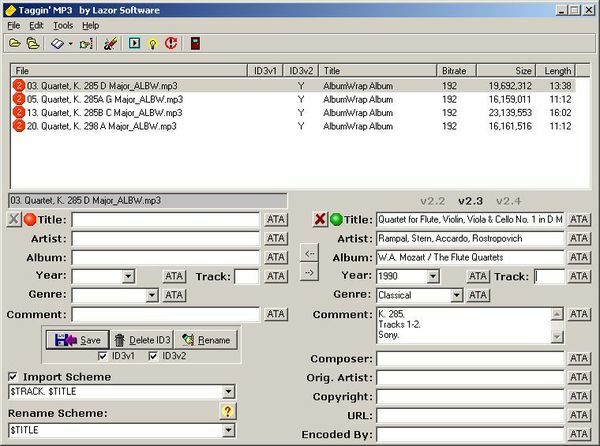 In this example, I will use Taggin' MP3, from Lazor Software. Even though the program would certainly benefit from improvements to its user interface, it tends to be easier for people to learn how to use, compared to many of the newer applications, which can be overwhelming. Another advantage is that it is completely free. After installing and first starting the program, you will see the main screen. 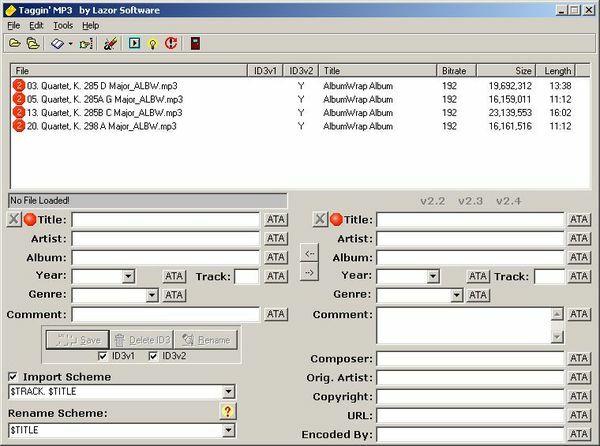 In most cases, you will be adding or modifying tags for all of the MP3 files in a given folder. So click on the first yellow icon in the toolbar, which is the same as choosing "Add Files…" from the Files menu. Double-click on the folder in order to display the folder's files in the panel to the right of it. Note that single-clicking the folder is not sufficient. This is one of several flaws in the program's interface. When the files are displayed, you can move all of them over into the rightmost panel by simply clicking on the icon with multiple hands pointing to the right. To work with individual files from a list, hold down your Control key and click on each file; then click the single-hand icon. Now you are back to the main screen, and you can click on one of the tracks, and begin editing the ID3 tags, all of which are pretty obvious. In the figure above, you see an example of ID3 version 2.3 tags entered, and none for version 2.2. Now that your individual tracks have been combined into complete compositions (if needed), and the MP3 files have been tagged, it is time to trim away any unwanted material from the beginning and/or end of each MP3 file. This may consist of dead space, after the artists have faded out. Or it could be several minutes of applause after the last song in a live concert. Click the Open button, locate the MP3 file that you want to modify, and open it. The volume control slider, at the bottom of the screen, shows you how much the volume will be increased or decreased when you save the file. The panel above it is where you can listen to the beginning and end of the music, and specify the number of seconds to trim away. You can also click the Auto button to have mp3Trim take its best guess — which oftentimes is right on the money, and other times is way off. 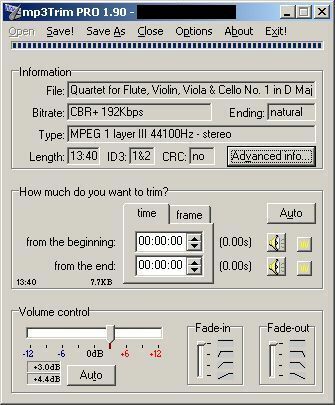 If there is a frame header missing from the MP3 file, the program will give you a warning. Usually, you can proceed with confidence. But it never hurts to do a "Save As" to a differently named file, and listen to it first to make sure that the saved version is no worse than the original one. With these three tools at your disposal, you should have no difficulty in working with all of the music you have saved in MP3 format.